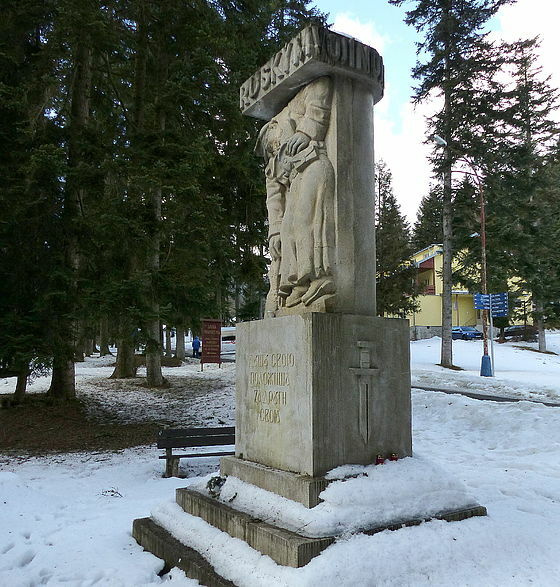 The memorial is located in the area of Bardejov spa. The opening ceremony took place there in 1932 It is dedicated to the soldiers of russian army, who took part in warfare near Bardejov in 1914-1915. The monument is in good condition. The territory of today’s Slovak Republic was directly affected by the WWI battles from autumn 1914 till spring 1915. Military operations took place on the territory of two counties in the North-Eastern Slovakia (Prešovský self-governing region with following counties: Bardejov, Humenné, Medzilaborce, Snina, Stropkov and Svidník). 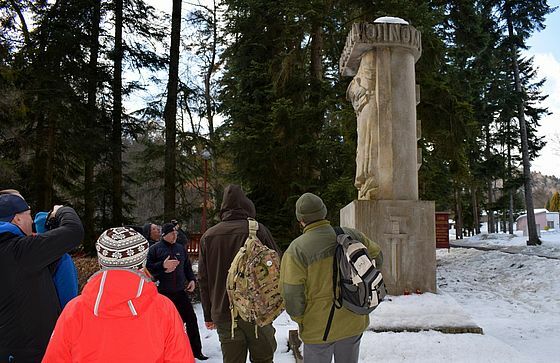 The military operations took place in difficult territory of Carpathian Mountains. The Austro-Hungarian army and Russian army were involved in these battles. In March and April 1915, the German army was also involved in the battle. Military operations that took several months resulted in more than 50,000 soldiers dead. The soldiers of former rival armies are buried in approximately 200 military cemeteries. The largest number of these cemeteries is located on the territory of the above six regions, where the military operations took place. In addition, the military cemeteries were created near the military hospitals or concentration camps at the front background. Such military cemeteries are located on whole territory of today Slovakia, especially near the large cities.